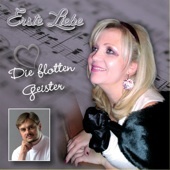 This CD, the third to feature the orchestra Die Flotten Geister, which is conducted by Klaus Straube, and arranged with concertmaster Jiri Preisinger features soprano Pauline Pfeffer and tenor Milan Vlček in a production by Operetten-Salon, with support from the Society. The CD contains both vocal and orchestral pieces. It was released in 2012. The CD is offered for sale direct from this site.